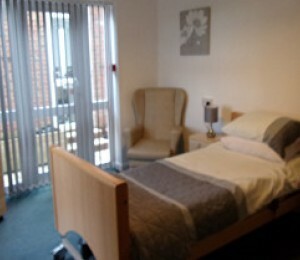 Quinnell House is a residential home providing dementia care, situated in Hailsham, East Sussex. The home is located within one mile of the vibrant and historic market town centre, but also benefits from being surrounded by an area of natural beauty. Hailsham is well placed for both Eastbourne and London, with train connections from Polgate station. By road, the coastal resort of Eastbourne is just eight miles, and London is 55 miles away. The care team members at Quinnell House pride themselves on offering a highly professional care service for the elderly with dementia, with a person-centred approach that focuses on seeing the individual rather than their dementia. Quinnell House is pleased to admit people for long-term, short-term and holiday stays. With extensive experience in crisis management, the home's manager has previously used his extensive knowledge and dynamic approach to turn care homes around following disappointing CQC reports. At Quinnell House, staff believe they care for individuals with unique personalities, core beliefs and life experiences, who just happen to have dementia. The home has been designed and decorated to be dementia-friendly. The home aims to provide home-from-home accommodation for 56 residents. We have incorporated a small 10-bed secure unit in our upstairs unit for residents that dementia has progressed or display challenging behaviours, it's a small homely environment. All rooms are en-suite and the home has an activity hub, and a light and sound sensory room, as well as communal lounges, and extensive landscaped sensory gardens. Quinnell House is a residential home providing dementia care, situated in Hailsham, East Sussex.The home is located within one mile of the vibrant and historic market town centre, but also benefits from being surrounded by an area of natural beauty. Hailsham is well placed for both Eastbourne and London, with train connections from Polgate station. By road, the coastal resort of Eastbourne is just eight miles, and London is 55 miles away.